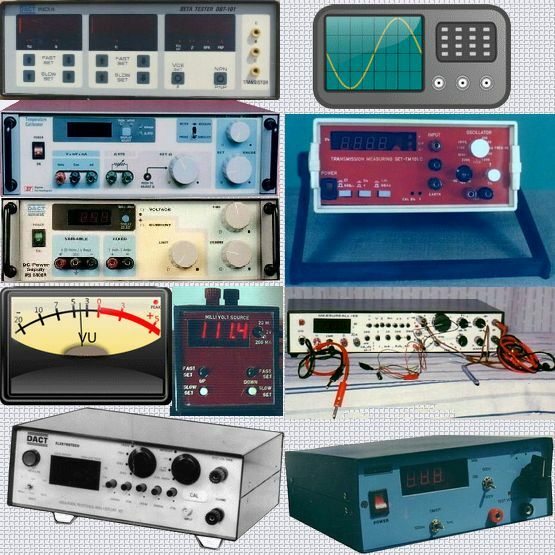 Test and Measurement Instruments designed by delabs in the 90s. Circuits you need for scaling an analog DC value. 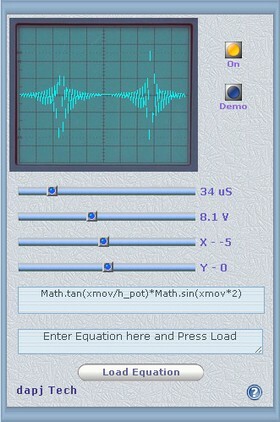 Oscilloscope Functions and Fourier Series. Periodic Waveforms. Watch Sine, Square, Triangle and Sawtooth Waves and Study Controls. This DIY Oscilloscope is a Real Time Graph of Volts Y and Time X at any node of a circuit. It can show both AC and DC. Let us assume Physics, Chemistry and Biology as Verticals on a Horizontal plane called Science. A part of Physics developed into Magnetism and Electricity, which further evolved into Electrical Engineering a Technology. When a branch of Science is applied to develop, evolve and maintain Life on this Planet it becomes a Technology. Electrical Engineering as a Technology has evolved and branched out into many specialized domains. With the coming of Semiconductors and the Advancements of Material Technologies, Electronics Engineering emerged as a foundation or a Horizontal for many new Verticals. One such Vertical is Instrumentation, here you know Industrial Process Control is one and the other is Test and Measurement. The third branch we learn about today is "Analytical Instrumentation Technologies" which is more like an Oblique, it Cuts thru Physics, Chemistry and Biology and many of its sub-branches. It also supports the areas called Life Sciences, Bio Technology, GeoSciences, Materials Science etc. . 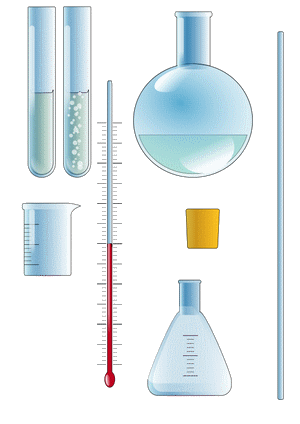 Here i have posted some analytical instruments ... Laboratory Analytical, - Research and Lab Instruments, Bio and Earth Science.